Today I have a Halloween tutorial to do carved pumpkin nail art, complete with video to show you the step by step process of each nail! I used black acrylic paint over a base of Ulta3 'Atomic OJ' but I think my gel pen would have been easier to manipulate. I used a Pure Color #10 brush. 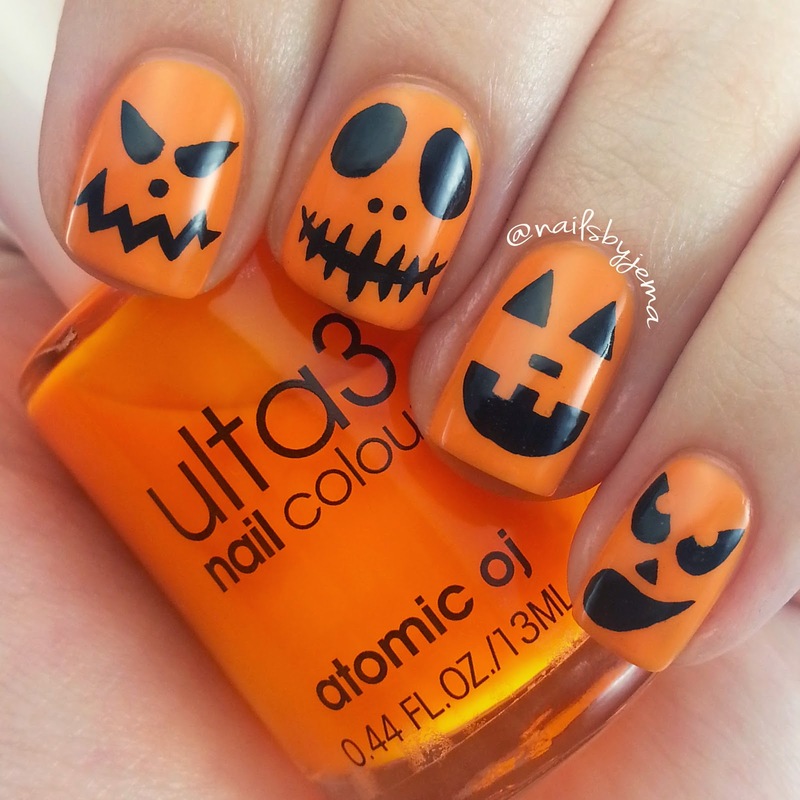 Hope you enjoyed my video tutorials and are inspired to try your own Carved Pumpkin Nail Art for Halloween!